Charlie and Eli Sisters are bounty hunters for Oregon City’s Commodore. Their latest mission is to track down a chemist headed for the California Gold Rush with a secret formula… In his first English language feature, Audiard (The Prophet, Rust And Bone) reveals a rich sense of humour amidst the gunsmoke, stunning Western landscape and faultless period details, and majestic score by Alexandre Desplat (The Shape of Water, The Grand Budapest Hotel). Reilly is the pick of an excellent cast, as a sensitive man dealt a tough hand by fate. Shows start at 2.30 and 7.30 pm, ticket prices £7.50, £6.00 (concessions), £5.00 aged 25 and under. Sixteen years after a contract dispute knocked them off their Hollywood pedestal, Laurel and Hardy are touring second-rate English theatres in a bid to raise interest (and funds) for a new movie venture. While publicity stunts make a success of their tour, Ollie’s health is failing and long-buried resentments rise to the surface. 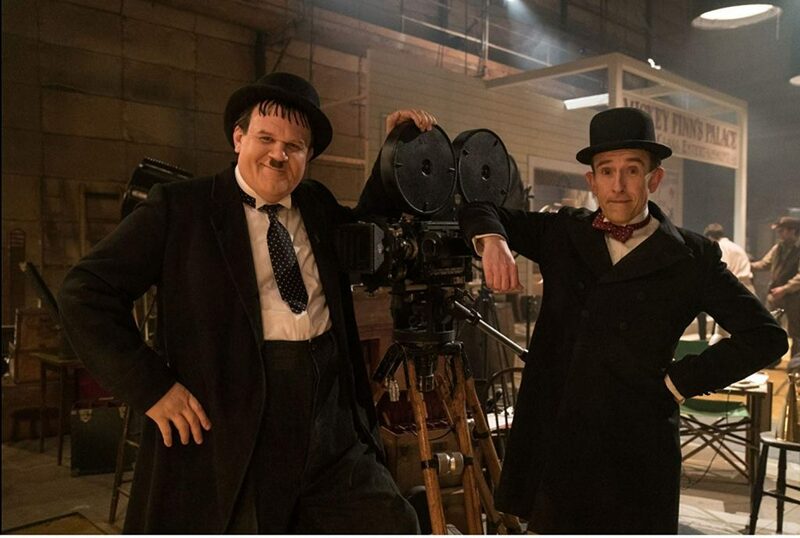 Capturing the duo’s stage magic in its evocative 1950s setting, Stan and Ollie is also blessed by superb turns from Coogan and Henderson as Mr Laurel and Mrs Hardy. The programme will include our current BRIT School Showcase film Peace And Quiet (U) directed by George Hadley. Show starts at 7.30 pm, ticket prices £7.50 & £6.00 (concessions). Shows start at 2.30 and 7.30 pm, ticket prices £7.50 & £6.00 (concessions).